Visit Berkeley Gloucestershire and the surrounding villages and stay in B&B, hotel or holiday accommodation accommodation provided by BedPosts members. Berkeley has a wonderful 12th century castle which was used as a feudal stronghold, built on rising ground looking out over the River Severn. Berkeley Castle is built of various-coloured stones and set among lovely gardens; it is a place of winding stairways and arched doorways. Within these walls Edward II was hideously murdered in 1327. The castle has been occupied by the Berkeley family continuously since the 12th century. In the parish church (which has a detached tower) is the grave of Edward Jenner (1749-1823) who introduced vaccination. Near the river is a large disused nuclear-powered generating station. 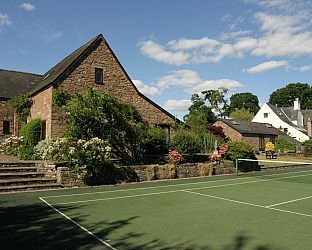 If you seek accommodation near Berkeley in Gloucestershire you have come to the website of a “club” of providers who offer affordable quality accommodation around UK in hotels, bed and breakfasts, guesthouses, inns, and restaurants plus self-catering cottages and apartments .